Part of the case against the finance minister may relate to NPA witnesses being ‘murdered’ by a gang who obtained ‘rogue unit’ recordings. 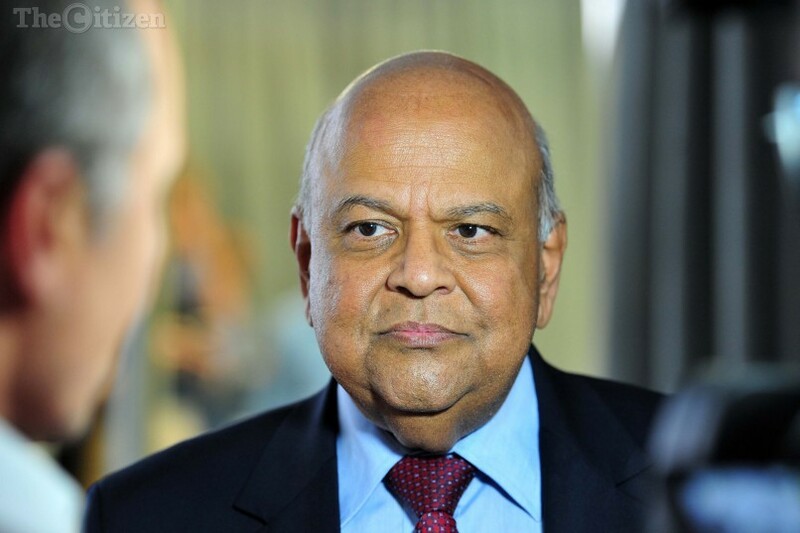 The National Prosecuting Authority (NPA) on Tuesday morning announced that it was proceeding with a criminal case against Finance Minister Pravin Gordhan in relation to his tenure as the SA Revenue Service (Sars) commissioner. The value of the rand has plummeted in the wake of this news. The NPA said there would be a case against Gordhan of fraud and he might also be prosecuted for the so-called rogue unit, but the investigations in that matter were still continuing. The Citizen, however, understands it on good authority that a key element of the developing case in the surveillance matter against the finance minister relates to an allegation that a high-ranking member of a notorious Cape criminal gang, The American$ (pronounced simply ‘Americans’), allegedly came to possess a recording of NPA officials discussing a case against the gang leader and his gang members. In the alleged recording, NPA officials can be heard at the time unknowingly (as they were unaware they were being recorded) revealing the names of witnesses testifying against the very dangerous gang. It is further alleged that these witnesses were then killed by The American$ to silence them, or attempts were made to silence them. This recording and others like it were reportedly facilitated by Sars under the leadership of Gordhan when the now finance minister was the Sars commissioner, and they allegedly ended up in the wrong hands. It is rumoured that a member of the Sars High Risk Investigations Unit (the HRIU, or so-called rogue unit) allegedly sold the highly sensitive recording to The American$ gang, but the truth of how the recording came to be in the wrong hands is not known, despite The Citizen being aware of further details around the matter. It is possible that if the exchange occurred, it could also have been through an NPA official, as prosecutors were also allegedly involved in the “surveillance” of the NPA’s offices, certainly at least during the project’s early stages. It is unknown whether, if the above indeed occurred, Gordhan knew about it and whether he knows, at this stage, about this allegation relating to the major criminal gang and any possible killings that may have come as a result of any information leak. The Citizen has repeatedly attempted to contact Gordhan’s office for comment. His office’s spokesperson, Yolisa Tyantsi, could not be reached. What was Project Sunday Evenings? The alleged spying on the NPA has become known as Project Sunday Evenings. It was reported in August by City Press that more than 30 witnesses had been lined up to testify against Gordhan and three former Sars officials in this matter. Along with Gordhan, former Sars commissioner Ivan Pillay, former HRIU head Johann van Loggerenberg and former Sars commissioner Oupa Magashula were also being investigated. As also predicted in that report, Gordhan has now been charged with fraud for granting Pillay early retirement and later extending his contract. The NPA’s spokesperson, Luvuyo Mfaka, said they would not be able to provide any comment on Project Sunday Evenings and the ongoing investigation of the HRIU. They directed The Citizen to the Hawks, who Mfaka said continued to be the agency investigating the case and building a docket of evidence. He, however, did not deny that the allegation was false, saying only that there were a number of matters being investigated and a lot of evidence was being compiled for the case. Despite Gordhan not being immediately available for comment, his views were made clear in a four-page letter sent to the Hawks earlier this year by his lawyer, Tebogo Malatji. In the letter he said Sars’ investigation unit was legal and no law was broken when it was created. Gordhan claimed in the letter that the Hawks’ interpretation of the law was incorrect. “The minister … believed in good faith that the unit was perfectly lawful. So did his successors and all the other state agencies with whom the unit interacted for many years,” the letter stated. Malatji also said the Hawks’ claim that Gordhan’s granting of early retirement and subsequent reappointment of Pillay contravened the Prevention and Combating of Corrupt Activities Act and the Public Finance Management Act was “unfounded”. Mr Pillay be allowed to take early retirement and be reappointed to persuade him to act unlawfully in any way. The minister believed in good faith that the transaction was entirely lawful,” he wrote. City Press revealed in August that the “30 witnesses” in the case against Gordhan included former and current Sars employees and high-profile businesspeople. A senior Hawks officer and source close to Pillay told the paper that former HRIU member Helgard Lombard, who allegedly installed the “spy devices” at NPA headquarters for Project Sunday Evenings, has turned state witness in exchange for immunity from prosecution. The report described him as the “star witness”. According to the Sunday paper, “Lombard was paid R1.15 million by senior prosecutor Gerrie Nel to install covert and concealed cameras with digital video recorders and microphones, which could be activated remotely through a cellphone”. The paper further reported: “According to several sources within the NPA, Nel was worried about the leakage and theft of documents obtained during the corruption investigation into former national police commissioner Jackie Selebi in 2006. National Director of Public Prosecutions Shaun Abrahams announced on Tuesday morning that Gordhan had been asked to appear in court at the start of November to hear the case against him. He said that a lot of work had already been completed in investigating the Sars unit, but that investigations were ongoing. The NPA boss has called on the public to allow the Hawks and the NPA to conclude their investigations.